Six homeless French students - can you help? 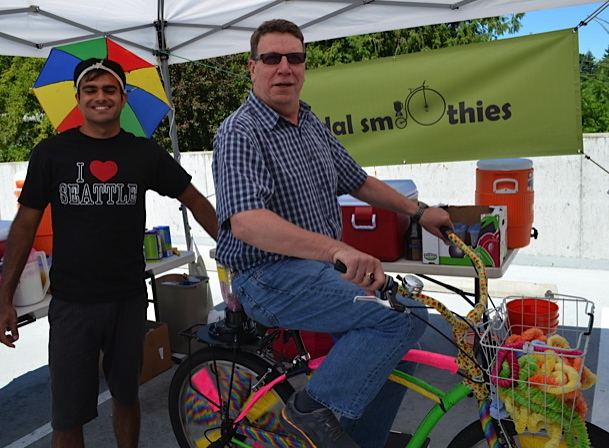 Shoreline City councilmembers came to the Farmers' Market Saturday to help promote both the Market and the City's Healthy Cities initiative by pedal-powering smoothies. 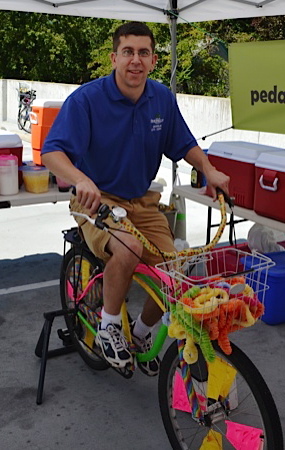 The blenders for the smoothies are on the backs of the bike and the pedal power runs the blender. 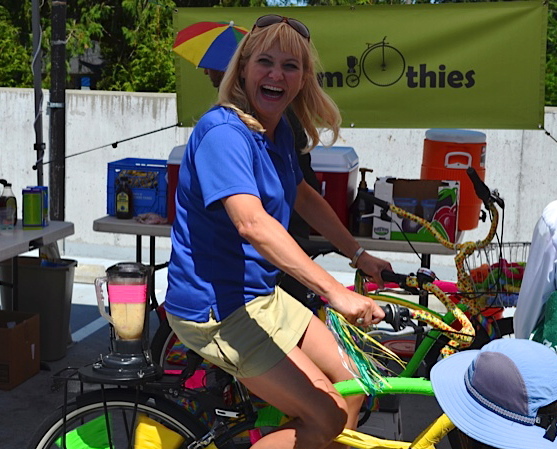 You get a healthy smoothie and a brief workout at the same time! 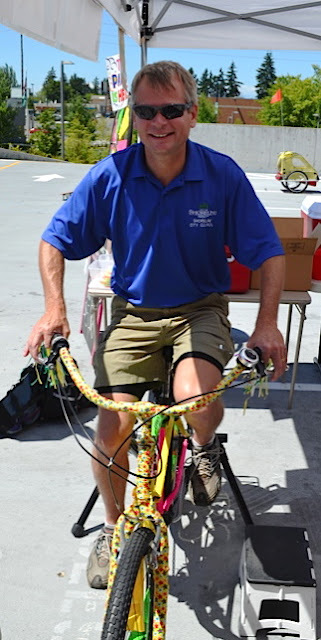 The Shoreline Farmers Market is held every Saturday from 10am to 3pm at Shoreline City Hall, 17500 Midvale Ave N. It has fresh produce, ready to eat food, crafts, clothing, and usually a musical group. Aren't these the same 4 councilmembers seeking re-election? I love it... he has Shoreline misspelled on his shirt. Made me giggle. Yes, they are seeking re-election. Three of them are unopposed. Do not mistake apathy for contentment.